I guess a thirteen pound turkey for two people was a little excessive, but everyone knows that the best part of Thanksgiving is the leftovers and boy have I made use of mine. We have already had two reheated meals, a work lunch, the ultimate thanksgiving leftover sandwich (you know the one where you put a spoon of EVERYTHING you had between two slices of bread and add cheese), I deboned the turkey and boiled the bones for soup, made a turkey tetrazzini and still have enough left over for one of my favorites things to make with turkey; Waldorf salad. 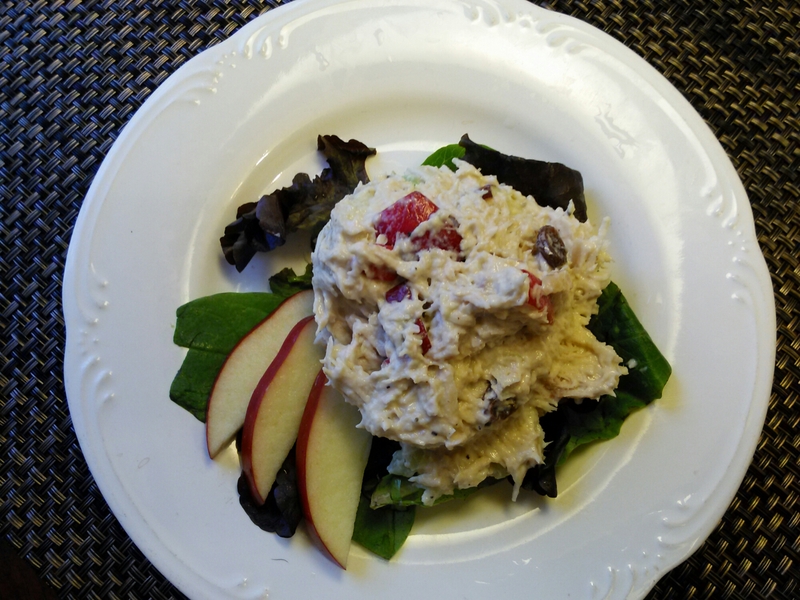 The Waldorf salad has mutated into many versions since Oscar Tschirky first whipped it up at the Waldorf hotel, but most in some way or another include the traditional components of celery, apples, and mayo. My favorite Waldorf salad is the kind you would find at the dessert table of any southern potluck. Sweet and mayonnaisey with those deliciously soggy marshmallows. For turkey Waldorf all the star ingredients that define the Waldorf are put together with a savory twist. And no, we won’t be adding marshmallows. Mix all the ingredients together. If the mixture is too thick or the turkey soaks up too much liquid add a small splash of water. Chill at least an hour for the flavors to come together. Serve over greens or a flaky croissant.